One of the more recent trends in office space design is the creation of corporate “huddle rooms.” The need for huddle rooms came about when companies started moving toward a more open floor plan design for their offices. While open floor plans were originally designed to encourage collaboration among employees and increase productivity, companies found that they still needed to provide spaces free from noise and distractions that would allow employees to create and problem-solve together. While corporate boardrooms are great for formal (scheduled) brainstorming, planning, or strategizing sessions, huddle rooms are designed for more informal meetings with an emphasis on collaboration. 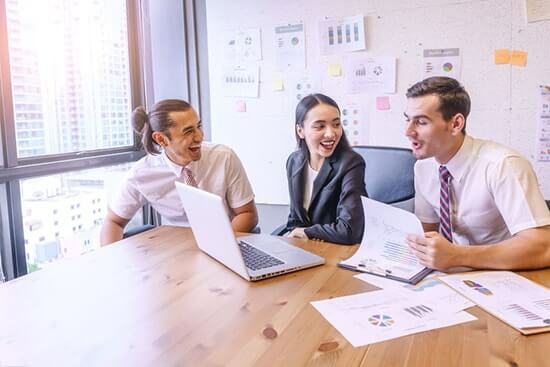 Huddle rooms are generally smaller than a traditional boardroom, but are still outfitted with the technology necessary to communicate and share documents with remote workers. A typical huddle room will feature a video conferencing device, a wall-mounted television or monitor, one or more work stations (with room for everyone’s devices), a traditional or interactive whiteboard, and various seating options. Setups vary from one company to the next, but most huddle rooms are designed to stimulate creativity and encourage collaboration. 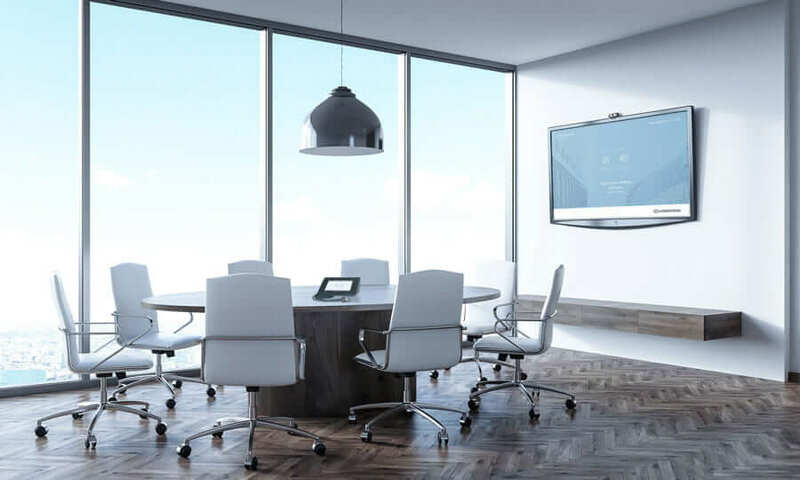 Recently, Crestron came out with a device that has the potential to revolutionize the huddle room, making it more convenient for workers to communicate and share documents, and ultimately, be more productive. Their new product is called Mercury, and it is a tabletop device that performs many of the functions necessary to create a more user-friendly huddle room. All other devices currently on the market that are designed for video conferencing lock you into a particular service. But with Crestron Mercury, users are allowed to choose any service, including Skype for Business, Microsoft Teams, GoToMeeting, Amazon Chime, or any other of the video conferencing services out there. Built-in speakers and microphones deliver professional-level audio quality, and one-touch joins make the system easy-to-use. The device itself is an open SIP conference phone, but participants can also make conference calls using their own phones, connecting to the system via Bluetooth technology. The built-in AirMedia feature allows meeting participants to wirelessly display any document or other content from a laptop, tablet, or even a smartphone, or devices can be plugged directly into the tabletop console using an HDMI cable. The system even comes with an occupancy sensor that will automatically switch all of the huddle room’s displays and other devices to energy-saving mode. All of this and more, is available in this one well-priced device from one of the world’s top manufacturers of AV products. If you’ve considered adding one or more huddle rooms to your corporate offices, Crestron Mercury is a great product to consider. Let the audiovisual professionals at Fluid Sound design and install the perfect huddle room for your San Diego company’s needs. Contact us today to get started.